Remember, "you have a team of sash sisters behind you who are ready to support you through competition and the rest of your life." Photo courtesy of Hal Coburn. However, being confident and staying true to who you are is a lot harder when you don’t actually know what makes you, you, and why you want to hold the title in the first place. Someone once told me that preparing for a pageant is a time to be selfish, while holding a title is the time to become selfless. As silly as it sounds to tell yourself to be selfish, it’s these times of focused self-reflection that allow you to answer difficult questions like, “What are my strengths; what are my weaknesses?” “What do you look for most in a friend and why?” and everyone’s favorite interview question, “If you could be a jar of anything, what would you be and why?”. Take the time to find out what your core values are, what you believe in, what you are passionate about, and where you hope these passions will take you in life. Not only will you feel more confident in who you are and why you hope to be a titleholder, you’ll also be able to answer personality questions with confidence, grace, and style. Confidence radiates itself through your performance on stage and in the arena, and affects how the audience and, more importantly, the judges feel about you as a competitor. If you’re confident in yourself, the judges are more likely to be confident in you as a potential titleholder. So, go ahead, be selfish! Even if you don’t win the title, you’ll walk away with a new perspective and self-esteem that’ll propel you forward in whatever you choose to do. 2017 Miss Rodeo Utah contestant Shianne Lowe at 2012 Rodeo Queen Boot Camp. Clinics are a great place to make connections, learn, and practice your skills. Photo courtesy of Alexis Bennett. Another huge part of pageant prep to find what works for you. Attend as many clinics as you can, watch as many online-tutorials as you can find, interview with former titleholders or judges and listen to their feedback. But remember: your hair may not curl exactly like the girl in the video, maybe flashcards aren’t the most useful way for you to learn new concepts, and some of us just don’t have the balance to gracefully pull off those fancier modeling turns. The key to this: practice! Find out if your hair curls better freshly washed or slightly dirty, with styling gel or three cans of hairspray, a curler or a straightener. Do terms stick better in your mind if you say them out loud or write them down? Are you strictly a reader or do practice tests and interviews help you, too? Take suggestions and try them out. If they work, great! If not, don’t be discouraged---keep practicing and find a strategy that does. There’s no better way to help yourself prepare for a pageant to the best of your ability than to find out exactly how to do so. Last but not least, stay organized! Between speech, modeling, horsemanship, and appearance practice, and meeting with coaches for each category, preparing for a pageant can get hectic. Flashcards, rulebooks, notes, and Web print outs can clutter your life for months leading up to competition. Get a planner and write every appointment, deadline or goal down. Get binders, boxes, hole punches, and notebook rings to keep papers from filling every surface around you, including your bed. De-cluttering your life will help you feel and stay more on top of things, which allows you to focus on what’s really important: you! So, keep working hard, ladies. Reach for the stars, but keep your feet on the ground. You’re going to do amazing things. No matter how tough or stressful things get and no matter how much you may want to quit at times, remember you are strong, capable, beautiful, and you have a team of sash sisters behind you who are ready to support you through competition and the rest of your life. 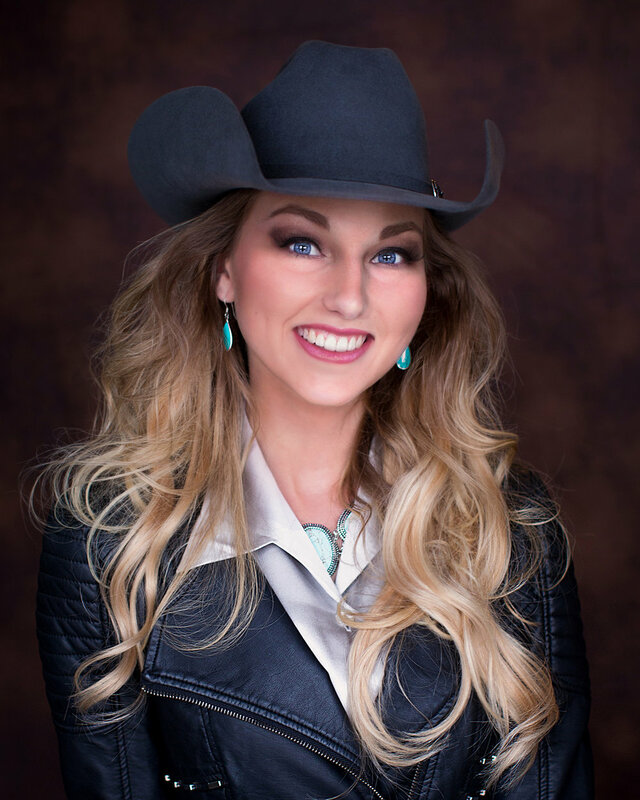 Sydney Butler is a fourth generation Idahoan with a long history in and love for the equine industries and the promotion of Western Heritage. She's a recent graduate of Boise State University with a Bachelor of Arts in communication with public-communication emphasis and minors in psychology and public relations. Sydney's the proud owner of three happy horses: Simone, Sonny, Cleo, and their sidekick Donkey. Sydney's passionate about sharing her knowledge and enthusiasm and cannot wait to follow Project Pageantry's journey to help queens succeed.